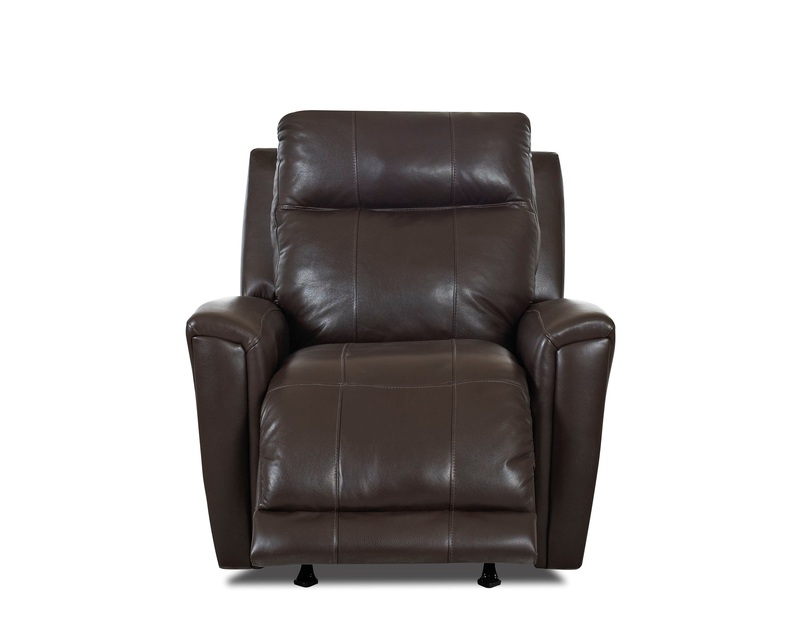 The Priest rocker recliner has clean, contemporary lines. Inward sloping, track arms are adorned with panels and stitching details. The stitching accents continue along the entire tight back, tight seat and full, chaise lounge pad. Tufted portions are at the top of the back cushion and along the bottom of the full chaise pad. Modern elements make the Priest rocker recliner perfect for most homes. This "special order" rocker recliner is available in multiple colors and fabric options. Pricing varies based on fabric group.